South Family Dental Care offers South Calgary Dental Bridges as a functional and aesthetically pleasing option for replacing missing teeth. 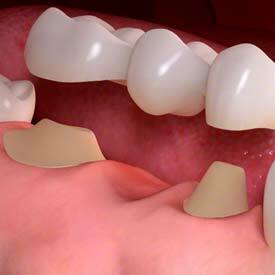 The best candidate for a dental bridge is someone with one or more missing teeth and with good overall dental hygiene. A dental bridge requires special attention to hygiene at home which includes flossing under the bridge. We also monitor how your dental bridge is functioning with regular dental visits and professional hygiene appointments. 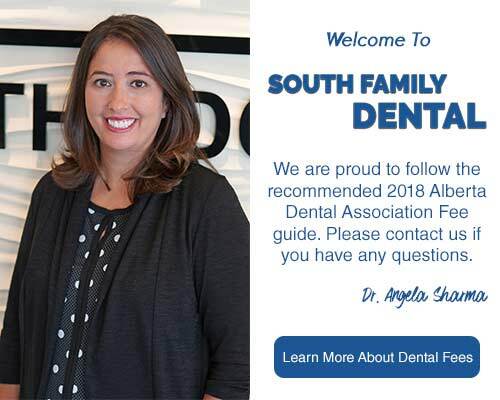 We know that your smile is important to you and replacing missing teeth with our South Calgary Dental Bridges is one of the many dental health services that we offer at South Family Dental Care. Call us at (403) 262-3235 to book your Dental Bridges Consultation with us today!